Gunned down near his own bike shop, Dragan surprised everyone by surviving. How did he end up taking a bullet, and what can other entrepreneurs learn from his ordeal? It is Tuesday morning, June 10, 2014. At the False Creek end of Vancouver’s Davie Street, grocery shoppers come and go at Urban Fare, and a woman pushes a baby carriage up the street toward Pacific Boulevard. A thick-set man with a grey beard, wearing a bike helmet and a large yellow backpack, comes around the corner from Marinaside Crescent onto the east side of Davie. He is carrying something inside a white plastic bag. Moments later, pedestrians recoil from the explosive concussion of a large-calibre gunshot. 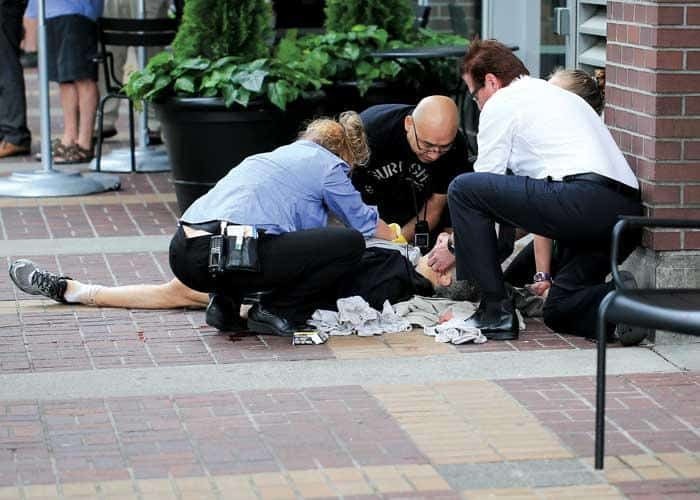 A man drops to the sidewalk in front of Starbucks, bleeding out from a massive chest wound. It was among the most dramatic shootouts ever seen on the streets of Vancouver. And poor Paul Dragan missed it all. “I have no memory of any of it,” he says. 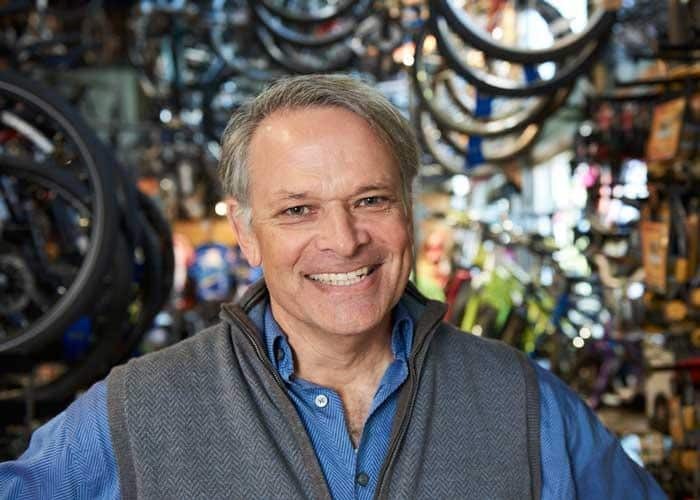 Three years later, the owner of three Reckless Bike Stores looks remarkably healthy—trim, athletic, younger than his 55 years. A little greyer, perhaps, but that tends to happen even when one is not shot in the chest by a former employee. A shirtless photo would show extensive surgical scars, and an X-ray a pair of lungs that no longer match. But Dragan does not have the appearance of a man whose survival once faced the kind of odds associated with a $25 ticket on the PNE Prize Home. His shooting may be an extreme case, but it’s not unprecedented. There are 350,000 cases of workplace violence across the country every year, Statistics Canada reports. 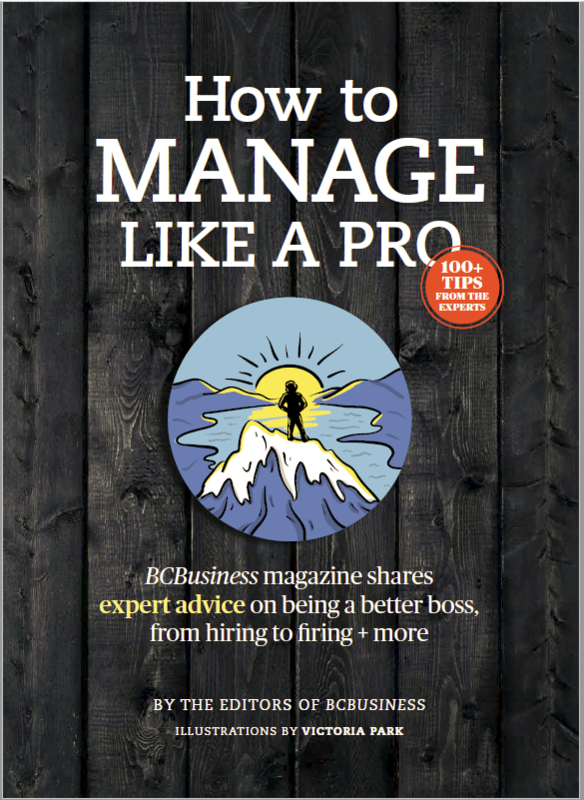 “It exists on a continuum, from incivility to disrespect to bullying and harassment to physical violence,” says Vancouver-based workplace psychologist Jennifer Newman. 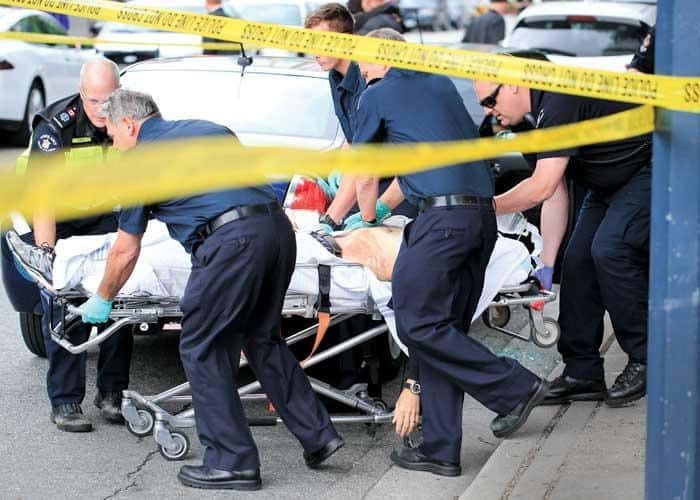 WorkSafeBC logged 1,954 violent incidents in this province in 2015, a 17 per cent increase over the previous year. Between 2006 and 2015, 11 people died as a result of workplace violence, eight of them from gunshots. That Paul Dragan failed to make that list is a story as improbable as any fantasy tale of fire-breathing monsters. On a sunny fall day in 2017, Reckless on Davie is hopping. A little truck pulls up with a load of wonky bicycles, sent over from a local hotel for repairs. Tourists returning rentals cluster at the podium out front. A shirtless and unshaven man wheels up on a battered bike and asks to use some tools. Dragan obliges, and the man sets about tightening screws. “We don’t like to set a precedent for doing free repairs, but it’s a good policy to help people out,” Dragan says. Born in Montreal and raised in Nova Scotia, Dragan ended up in Vancouver in 1983. With a couple of partners, he opened the first version of Reckless—called Reckless Rider Cyclery—in May of ’86, catching the Expo wave. Dragan supplemented his income by working nights as a waiter at the Hotel Vancouver, and the bike shop thrived at first. But four years later his partners forced him out, and the business itself lasted only another year. His next venture, a commercial construction company, soon gained traction. “We built the Starbucks in the old Manhattan Building at Burrard and Thurlow,” Dragan recalls. 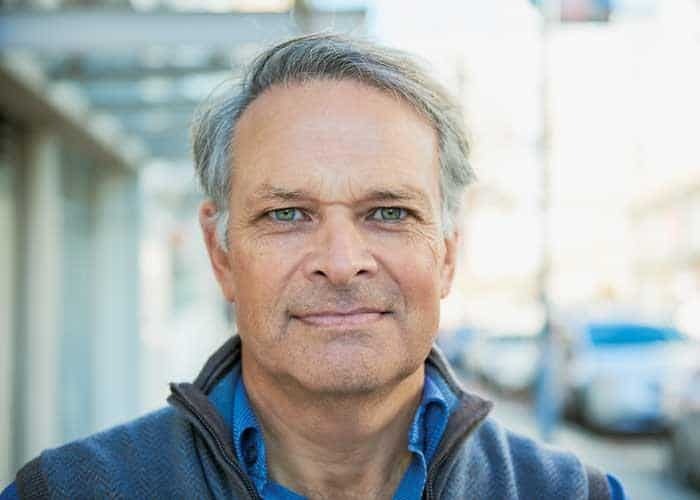 “That was a big contract for us.” But on Boxing Day 1992, he noticed moving vans outside the cycle shop at West Second Avenue and Fir Street—the former location of Reckless Rider. Dragan, who felt he had learned a lot since his first Reckless experience, had never lost the bike bug. Striking a deal with the landlord, he opened Reckless the Bike Store in February 1993. Dragan was determined to concentrate on customer service, drawing on his experience as a waiter in the ’80s along with the business savvy gained in construction. “I know how to take money out of their wallets and leave smiles on their faces,” he says. 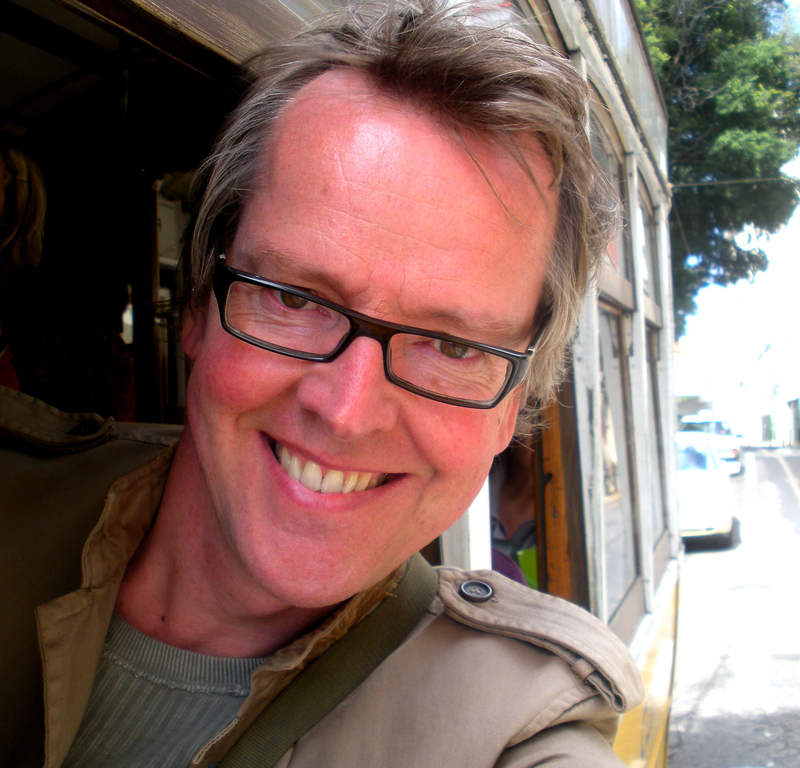 In 2000 he launched the Reckless location at the foot of Davie. Dragan was content to stick with what he knew—electric bikes weren’t his thing. But in 2011 a kid named Tony Sun started hanging around the shop. He and Melody Chan had just launched a line of electric bikes called eProdigy. Dragan agreed to put some of their stock on the floor. “As Paul puts it, we started dating before we got married,” Sun recalls. In early 2014, the relationship bloomed into a full-fledged Reckless e-bike shop on Hornby Street, managed by Sun. “He was our first dealer,” Sun says. “It was huge for us.” The Reckless family had grown to three. Dragan, who started with just three staff, now employs a seasonal high of 22. As it turns out, Battersby hadn’t lost all of his most valuable possessions. Somehow, along with the newspapers, margarine tubs and bits of string, he had managed to acquire a .44 revolver. 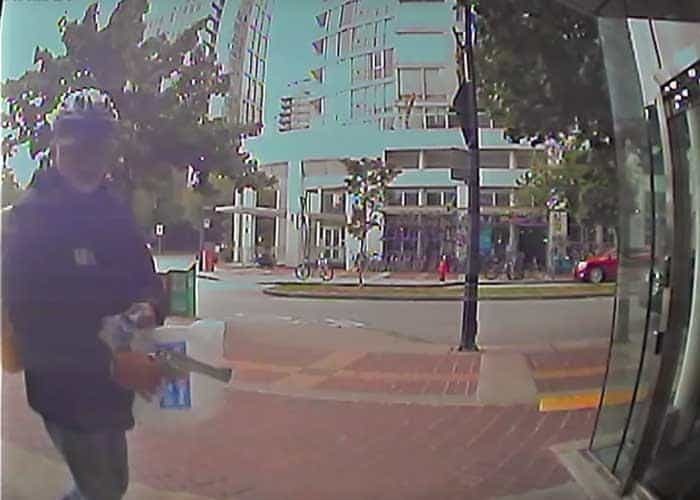 Surveillance video from June 10, 2014, shows Battersby on his bicycle hanging around the foot of Davie Street. By 11:13 a.m., Dragan and then–Reckless store manager Lee Miller are sitting out front of Starbucks as Battersby is seen striding toward them. Visible behind him is a blue Ford Focus, waiting for a parking spot. Inside are two Vancouver Police detectives, Christopher Berda and Glynis Griffiths, on a routine coffee run. You can meet a lot of people at a Starbucks—baristas, small business owners, doctors, lifeguards, police officers. At 11:14 a.m., all of those are present at the south Davie branch. Physician Clifford Chase is in the lineup. The cops have just pulled up to the curb when shouting is heard from the sidewalk. Berda recalls: “Glynis looks back and says, ‘What’s going on over here?’ I look out the rear passenger window and see a gun come up. A very big gun.” “You screwed me over,” Battersby shouts. “The shot was deafening,” Berda remembers. Dragan is hit in the upper right chest. According to Miller, Dragan manages to say, “Gerry, you shot me.” Then he falls. The call to British Columbia Ambulance Service Station 261 at Columbia Street and West Seventh Avenue is fielded by Jason Davies and Scott Bailey. As the howling ambulance speeds over the Cambie Bridge, Battersby is still on the loose somewhere below. That’s typically bad news for first responders and victims alike. “It’s very rare that we get immediate clearance when there’s an active shooter,” Davies says. But on the worst day of his life, Dragan is starting a remarkable run of good luck. Because Berda and Griffiths have been able to confirm that Battersby has fled, the paramedics are instantly cleared for action. And this is just the team you want to have for a serious gunshot wound—advanced life support paramedics with extra training for emergency situations. By the time Battersby reaches Science World, an unmarked car is already on the walkway to the south while other officers are in place. Battersby charges out from his hiding spot and toward the car, firing his .44. A bullet shatters the passenger-side window, and Const. Nadia D’Andrea is struck by flying glass. Battersby runs to the driver’s side of the car, chasing Const. Josef Mancin around to the back of the vehicle. Officers open fire. The suspect drops, wounded in several places. Berda and other officers swarm in to cuff him. “What’s your name?” Berda asks. “Don’t you know who I am?” Battersby replies. Despite all the shots fired, Battersby’s wounds and D’Andrea’s glass lacerations are the only injuries. Except, of course, for the man lying in front of Starbucks in a spreading lake of blood. Dragan has no pulse. Davies, Bailey and the firemen get him into the ambulance and strap him down. Davies drills into the bone behind Dragan’s knee to start a transfusion procedure. As a firefighter performs CPR, Bailey inserts a tracheal breathing tube. Davies begins pumping a saline wash and a shot of epinephrine into Dragan’s system. He has a pulse again. But there’s not much to circulate—Dragan has 75 per cent less blood than he started the day with. When Dragan finally reaches the operating room, the top of his lung is removed along with bullet fragments. He spends the next six days in an induced coma. “I went to get coffee, I woke up in the hospital a week later, and my wife told me I had been shot,” Dragan says. “I looked down and there were all these tubes coming out of my chest. Apparently killing Paul Dragan had only been step one in Battersby’s plan—his former roommate and Ericka Dragan were to be next. A personal day planner recovered outside Science World contained an entry dated June 9: “Kill—Joel G., Paul D. and Erika [sic] D.... Adios assholes.” The phrase “death by cop” was also noted. Eventually Battersby would plead guilty to three counts of attempted murder (for Dragan, Mancin and D’Andrea—shooting at Berda and Griffiths didn’t even make that list) and two firearms offences. In October 2016, he was sentenced to 18 years in prison. But is there any way to spot this kind of serious trouble developing? Dragan’s situation with Battersby was more complex because it had ceased to be simply a workplace issue—he had become Battersby’s landlord. “I suppose my mistake was trying to help him find a place to live,” Dragan admits. The following June, Paul was in Toronto with Ericka to receive the 2015 Independent Retail Ambassador of the Year Award from the Retail Council of Canada. These days Paul Dragan appears to be in excellent health. And he has a new GP to keep him that way. The doctor’s name is Clifford Chase. It’s just good business—you take new customers wherever you find them.